Notable alleged blown calls: Padres-Diamondbacks, May 17, 2011; Rangers-Marlins, July 3, 2011; Phillies-Diamondbacks, April 24, 2012. 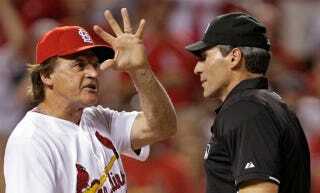 He is among the most vilified umpires in the major leagues. ... Looking at his annual plate-calling numbers, it's easy to see why critics contend that Hernandez has an inconsistent strike zone. ... His K/9 was consistently below average [from 2007-2009], but then shot up in 2010. Hernandez's R/9 has also jumped around. Angel is just bad. That's all there is to it. Sample PITCHf/x strike zone: April 6, 2010. 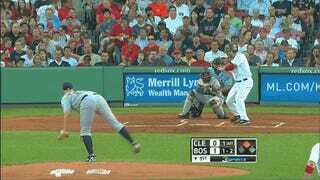 With all eyes on Red Sox and Yankees at Fenway, Hernandez was inconsistent throughout the game. True fact: Is the only MLB umpire who was born in Cuba. After Ozzie Guillen came under fire for comments regarding Fidel Castro, Hernandez said, "Do you really think he loves Castro? C'mon, he doesn't even know him."